Logbook page 1. Conditions on 12m weren't as good as they have been in the past few weeks, but I still managed to run off a string of 6 QSOs on CW to start the day. 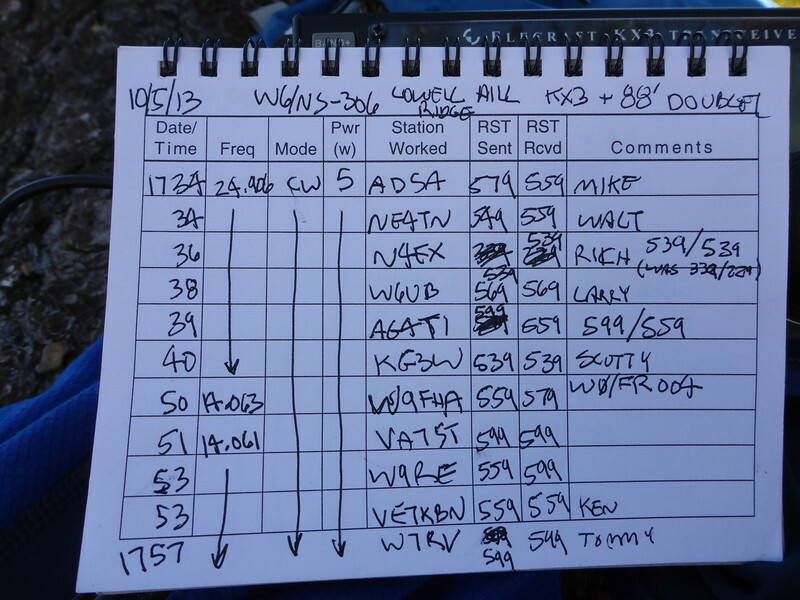 I moved down to 20m CW to call W9FHA on Pike's Peak for a summit-to-summit, then did a run on that band.